How Do I Know If I Have A Hammer Toe? If you ever wondered why your toe may look like it is curling inwards, then you may have a hammer toe. A hammer toe is when the toe bends or curls downward, instead of pointing straight forward. 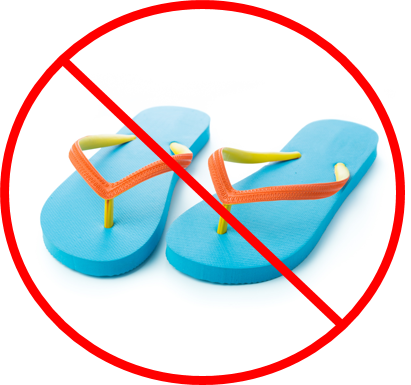 It can be exacerbated when wearing flip-flops or sandals, because your toes have to curl downwards to “grip” the shoe. 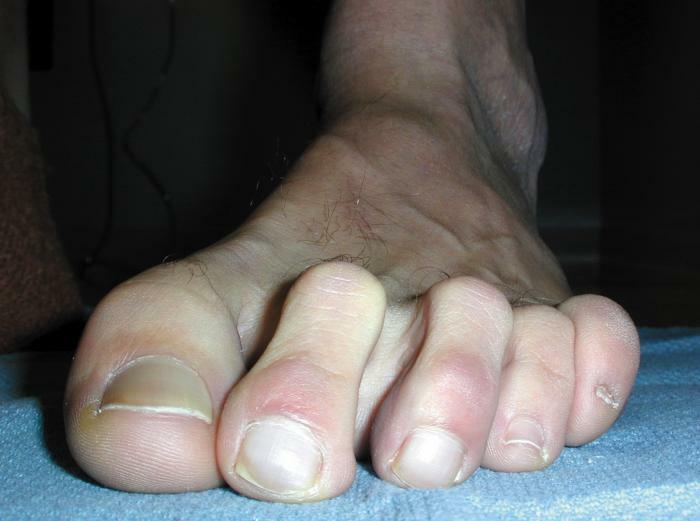 A bunion deformity – in a bunion deformity, the big toe tends to push against the 2nd toe, causing the 2nd toe to curl. Tight or ill fitting shoes – if your shoes are tight, especially in the toe box or if the toe box is very narrow, then the toes tend to have to curl downwards in order to fit into the shoe. After long stretches of time wearing tight shoes, the toes tend to have this curled deformity permanently. Heredity – it does run in the family. So if another family member has hammer toes or hammer digits, you may be prone to these as well! The initial cause is due to the weakening of intrinsic muscles and tendons. Tendons are the part of the muscle that attaches to bone. These intrinsic muscles are tiny and within the bones of the toes, and they may shorten over time and cause the toes to curl downwards. If you have a tendency to get hammer toes due to your intrinsic musculature, there are no exercises that can prevent it. However tight shoe gear with a narrow toe box may aggravate the toes and cause them to be painful. What are signs and symptoms of a hammer toe? Chronic sores that may start out as a blister on your toe, but never really heal and cause pain. There are both conservative and surgical treatment options for hammer toes. In our office, our doctors will perform a thorough exam and will also take digital radiographs (Xrays) of your feet. The images are available within seconds, and the images are reviewed with you to show you the evidence or lack of hammer digits. Often if you as the patient can see the radiographs, you can understand biomechanically what is happening. Conservatively, our doctors recommendations focus on proper shoegear and custom orthotics. Although a shoe with a wider toebox and one that fits well will not correct the deformity, it will prevent discomfort of the shoe rubbing up against the hammer toe and prevent pain. Our doctors will guide you on the correct padding to prevent rubbing of the hammer toe either against the end of your shoe or the top of your shoe, or to the other toe. Custom orthotics are custom made inserts that fit into your regular shoe. Often times the insert in your walking shoe or gym shoe can be removed, and then the custom insert is placed in the shoe. The reason they are different that over the counter inserts are that they are made by taking a slipper cast mold of both feet while in biomechanically neutral position. At this position, it captures the foot at biomechanically neutral, where all the tendons and ligaments are the most efficient. The slipper cast molds of the feet are sent to an outside lab, where the impression (along with the doctor’s prescription after a biomechanical exam) is used to fashion an arch support that is custom only for you. When you wear these orthotics, it allows your feet to function in a way to slow down or even stop the progression of hammer digits. The lumps and bumps won’t go away, however orthotics can prevent them from becoming worse. It often helps with joint pain in the toes as well. Surgically, our doctors do perform hammer digit surgery. This is done as an outpatient at either Elmhurst Memorial Hospital or one of the outpatient surgery centers that our practice is affiliated with. Surgical intervention is the last resort after conservative measures fail to help the discomfort. You would have a surgical consultation with our doctors where they will discuss the deformity and the different methods of surgical correction. Since it is a bony and tendinous deformity, both the bone may be affected with possible application of pins and/or screws, and the transfer and repair of tendons that surround the toe. It is impossible to discuss all surgical options here; that conversation is reserved for your visit with the doctor. She will review your case, examine your feet, review radiographs with you, and will determine the appropriate procedure. If you have a question about your toes, it never hurts to ask! If you feel your toes are curling in, are in pain, feel stiff, or have corns or sores, or even if you have questions you need answered, give our office a call. Our doctors will perform a thorough exam, including digital Xray, and come up with a treatment plan.